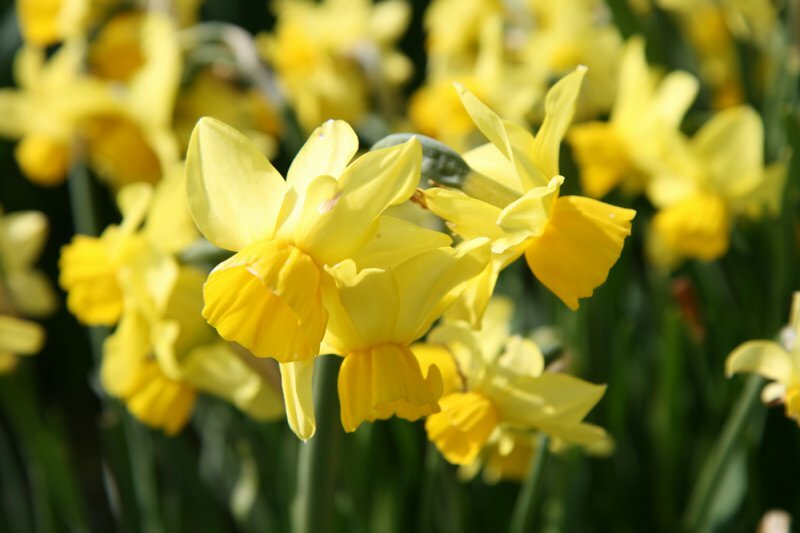 This is a division 12 ‘Miscellaneous’ daffodil. It is lightly scented and bears 3 flowers to each stem. The outer petals (the ‘perianth’) are lemon yellow with little white flecks at the tips. The central trumpet (‘corolla’) is deep yellow. 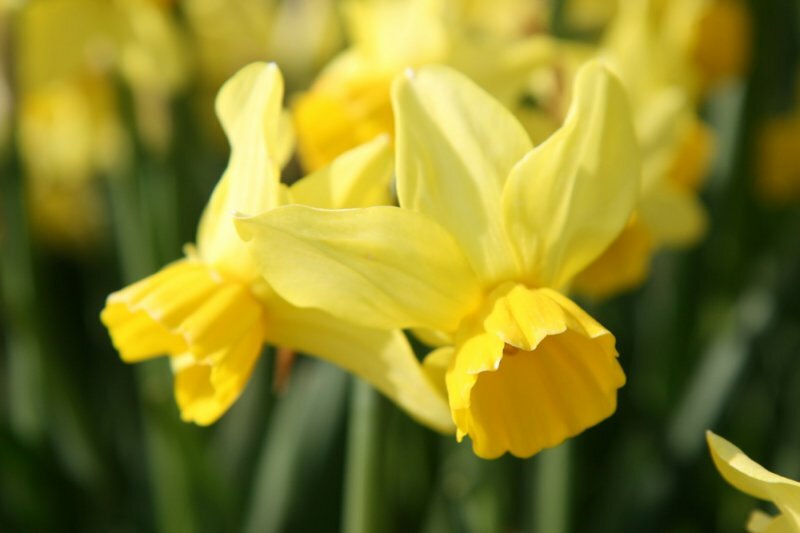 This daffodil has been given the Award of Garden Merit by the RHS. It was bred by Harry I. Tuggle Jr in Virginia, USA, and first flowered in 1973. 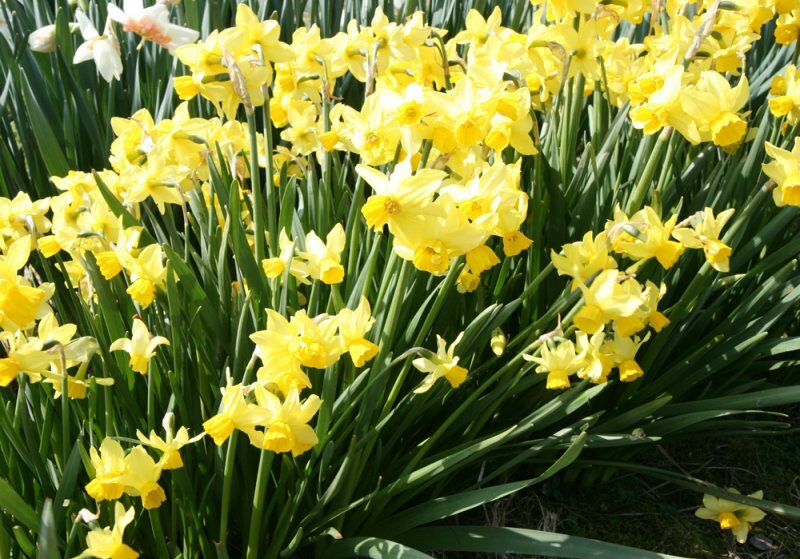 It is a hybrid of Narcissus ‘Matador’ (seed parent) and N. cyclamineus (pollen parent).